We ended up at US WORLD CLASS TAEKWONDO BETHANY after attending a birthday party class. The instructors were fun and firm, the kids learned a routine and could perform it after just 1/2 hour. Our 3 kids and I train together and we love it. The confidence and determination the kids have developed are incredible. One daughter loves being a LEADER for the LOWER BELTS and the other one thrives at competitions. We would recommend you look for a place where you can watch/participate in a few classes first to find the right fit in terms of teachers and atmosphere. We were very fortunate on our first try! Best Kids Martial Arts Program! 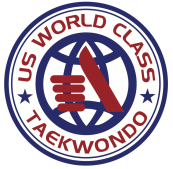 My son has been going to U.S. World Class Taekwondo Bethany Martial Arts Academy (in Bethany Village Shopping Centre ) for a little while now and he really enjoys it. I found them in Family Values Magazine and I'm sure you can search for what other people have written online. All I can say is that, by and large, the positive recommendations were right on the money. A little background... My son has some delayed motor issues and is also not a super sporty type. The folks at US WORLD CLASS TAEKWONDO BETHANY not only have been very accommodating but really have made it a non-issue. Everyone there trains at their own rate and personal expressions/adaptations of forms, etc. are an integral part of the art. A couple of other posters noted, and I definitely agree, there is a strong sense of community over there. It's always a happy occasion when a student is back from college and drops by for a visit. Students have black belt mentors that make sure they don't get ''lost'' and so that they also have a person they can ask questions, etc. And one of there most popular classes is the Saturday Morning Class, all ranks class where everyone trains together regardless of where they are belt-wise. I should also add the head instructor as well as many of the instructors are great so there is none of the macho vibe that can be found at some other places. It was probably for the Family Like Feel to pick his place. My son is very anxious and wanted me to take the class with him. So *I* actually get to take the classes and ''walk-the-walk''. There are several other families that train there as well. It also makes for an interesting dynamic because when we are in class I am Mr. Dave instead of Dad. So there you go. It's a fun class, structured , focused, and a great workout. I think it's definitely worth checking out.